WASHINGTON — The U.S. Army is pushing Congress to act on a looming sealift shortfallthat will create “unacceptable risk in force projection” within the next five years if the Navy doesn’t act quickly, according to a document from the Army’s G-4 logistics shop obtained by Defense News. 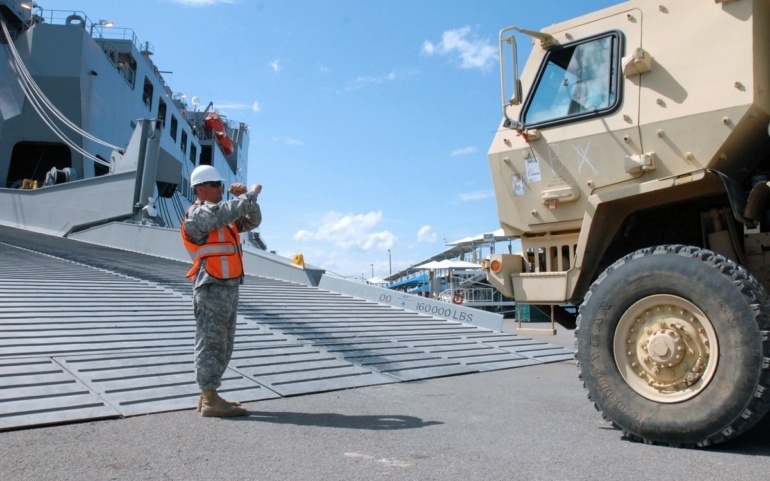 In response to a committee inquiry, the Army in February sent a warning to the House Armed Services Committee in an information paper noting the nation’s surge sealift capacity — which would be responsible for transporting up to 90 percent of Army and Marine Corps equipment in the event of a major war — would fall below its requirement by 2024. Read more.